The hot weather is here so cool off with some summer fun in the Aurora, Illinois area! 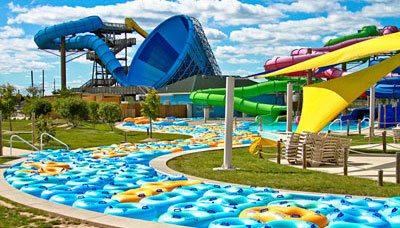 Spend the day with the whole family splashin' around at one of our area's waterparks. Or are you looking for live music, cocktails, art, carnivals and parades to fill a summer day? The Aurora area has an event or festival held almost every weekend including: Naper Nights in Naperville, Cocktails in the Park in Batavia, River Fest in Yorkville and many more! And of course, no summer would be complete without a trip to RiverEdge Park! They have an incredible entertainment line-up this summer that you won't want to miss! No matter what activities you decide on to fill your summer days, be sure to come unwind and stay the night at the Holiday Inn Express & Suites Aurora - Naperville, Illinois, located in the heart of Downtown Aurora. This is the ideal place to stay for those having some summer fun in the Aurora area.